This dish is typically served for Chinese New Year as it symbolizes good wishes. The Cantonese word for “fish” is yu, which also sounds like the word for “wish,” thus the two are correlated. Fish also represent marital bliss and fertility, since they commonly swim in pairs. This dish is a simple and practically foolproof technique for cooking delicate fish. 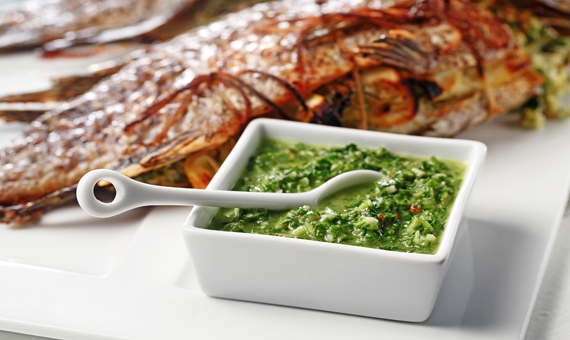 The light sauce does not overpower the natural sweetness of the fish. Pouring hot canola oil over it to finish, a traditional technique, brings the sauce together and glazes the fish. 1. Thoroughly wash and rinse fish, drain and pat dry. Rub salt gently through cavity and outside of fish and rinse again. Place on baking rack to drain. 3. 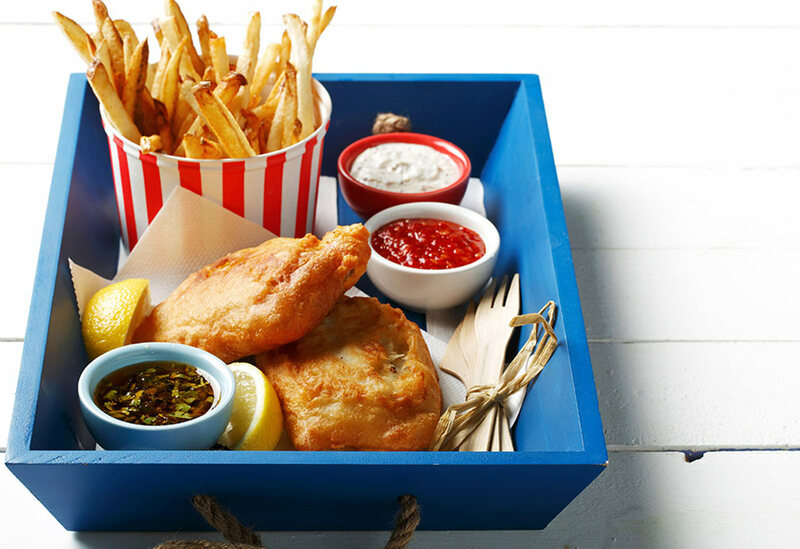 Carefully remove whole fish from saucepan and transfer to warm serving platter. In small saucepan, heat soy sauce, sugar and sherry. Pour over fish and garnish with ginger and green onion. Heat canola oil over high heat until hot but not smoking. Carefully pour hot oil over fish and serve immediately. Tips: A delicate textured fish such as rock cod is recommended, but a small salmon, large salmon fillet or trout are good substitutes. 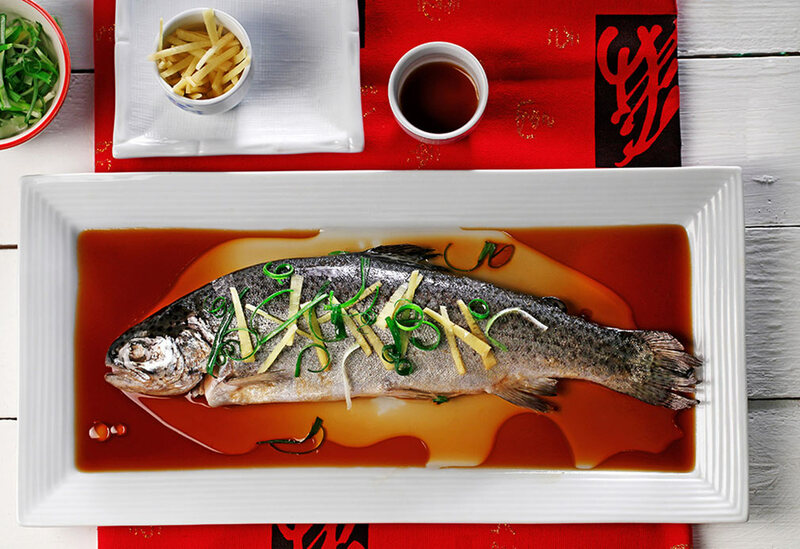 Most Chinese prefer their fish slightly underdone to keep flesh moist and succulent. If you prefer well-done fish, allow it to simmer another 2 minutes, covered, after step 2.